The X Rocker Deluxe brings a bit of class to your gaming setup, mixing a luxurious chenille fabric with powerful 4.1 audio. The X Rocker Deluxe goes by name as it does by nature. Decked out in a rich silver chenille fabric, the deluxe brings a touch of class to your gaming setup. The Deluxe features a 4.1 audio system with our new wireless/Bluetooth dual control panel and wireless DAC transmitter that provides compatibility with all of your favourite gaming consoles and audio devices. 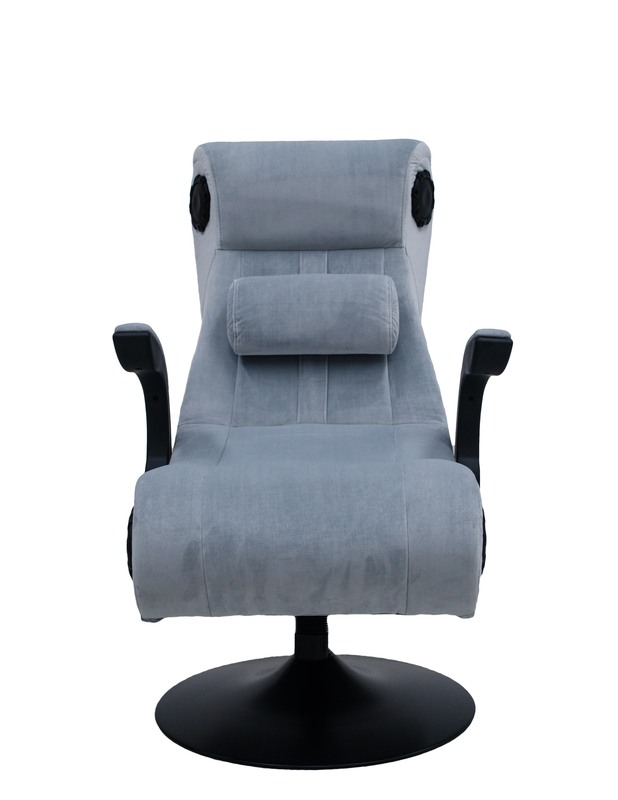 The Deluxe also features tri motor vibration, chenille padded flip up arm rests and a pedestal base for elevated comfort.